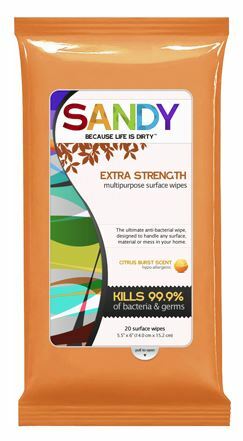 Request a free sample of Sandy’s Extra Strength Multipurpose Wipes! If you see this freebie around, do not bother with it. I checked into the site’s WhoIs info and found a phone number that was registered when the site was created. I have also seen the same information on another blog so I was able to compare my findings. The phone number that was registered for the site appears to be the same number used by a scammer that makes phone calls. HOWEVER, the form for this freebie does not have you enter or ask for your phone number. It looks like a completely legit freebie but these samples do not come. This site has been up for a long time and this freebie has been going around for quite some time. Since they don’t ask for a phone number, I’m not sure what their purpose for the fake freebie is unless they are making money on page views or what-not. It appears to be harmless but just in case, avoid trying to request this one as a precaution. I know one thing for sure, these samples to do not come.